The title of this non-fiction book is from a Malay idiom, Katak Bawah Tempurong. The frog who lives under the coconut shell thinks that the coconut shell is its entire world. 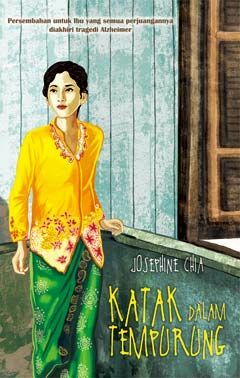 It is a reference to the author’s own mother, who although herself uneducated and living a parochial existence in a kampong or Malay village, believed in and struggled for a greater vision - the right to educate her daughter. The book is a testament to the love and courage of a mother that changed the life of her daughter forever. 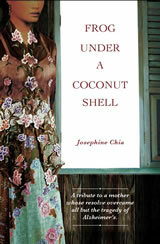 The idiom also refers to the author who was like a frog under a coconut shell in the small world of the kampong. In part, the book is a nostalgic memoir of old Singapore in the 1950s and 60s which will tug at the emotional strings of those who have been out there. The book also paints in heartwarming detail, the author’s mother’s journey from the bloom of youth to her affliction with Alzheimer’s disease.